If you happen to follow a vegetarian diet, then it's of utmost importance for you to include various other sources of protein in it instead of meat, chicken etc. There is no denying the fact that meat is an excellent source of protein. However, not everyone can include it in their diet. Especially, the ones who are vegetarian. If you happen to follow a vegetarian diet, then it's of utmost importance for you to include various other sources of protein in it instead of meat, chicken etc. It's often said that vegetarians have limited options to fulfil their protein requirement. However, it's not true. 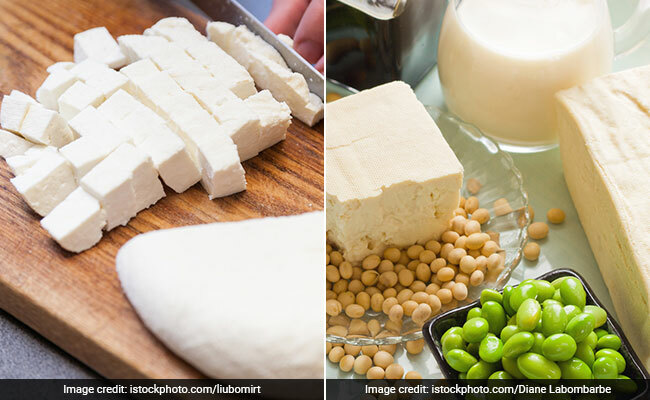 Here's a list of 5 easy ways in which you can increase your protein intake without having to indulge in meat products. Read on to know more about them. Almonds are a powerhouse of various essential nutrients and minerals. Apart from being an excellent source of protein, almonds are rich in fibre and magnesium. Its single serving of 28 gram contains 6 gram of protein. So the next time you prepare your smoothie, sprinkle a tablespoon of chopped almonds over it to increase its nutritional value and taste as well. In order to increase your protein intake, replace the regular yogurt with Greek one as it contains twice as much protein as the traditional one. It has a tangy flavour and can also be used as a dip for various finger foods as well. The best way to up your protein intake is to include protein-rich foods in every meal. Be it breakfast, lunch or dinner, try and add a portion of any protein-rich food item in it and ensure that your daily protein requirement is fulfilled. In order to increase the nutritional value of your salads, add more protein-rich foods in it. Pair those salad veggies with generous amount of cottage cheese, tofu, nuts etc. Lentils are power packed with protein. Include a bowlful of lentils in your lunch and pair it with some flaxseeds for extra protein and crunch.